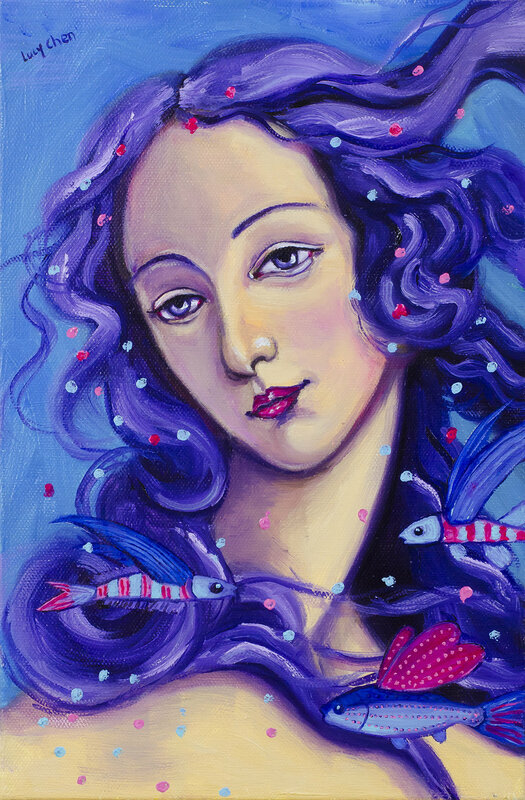 VENUS AND HER FLYING FISH, oil on stretched canvas, by Lucy Chen. Original Sold. Today I bring to you an oil painting time lapase of this piece titled "Venus and Her Flying Fish". Do you know that Flying Fish often brings good furtune and blessings? No wonder they saved Pi's life in the book and the adopted movie "Life of Pi"! I hope you'll enjoy this video showing my painting process from start to finish. And if you would love to support me further, or learn about my painting techniques in depth, check out my Patreon Page, where for as little as $1 per month donation, you'll get exclusive Work-in-Progress images of my paintings and more.